April 12, 1935 - January 14, 2018 Those we love are never more than a thought away, tor as long as there 's a memory they live in our hearts forever. Gwen, 82, peacefully surrendered to God's care on Sunday, January 14th, with three generations of family members close by her side. A beautiful Mom, Grandma, Nana, Cousin, Classmate and Friend, Gwen was best known for her sincere smile, warm personality, passion for sports and tireless work ethic. 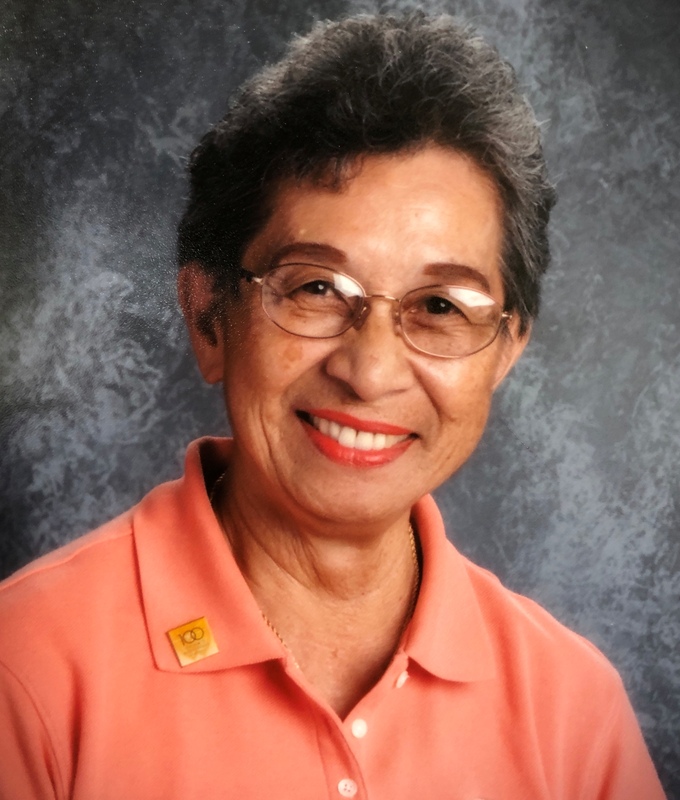 Gwen, a graduate of Sacred Hearts Academy's Class of '53, was employed by Consolidated Amusement Co. for 40 years before retiring from her alma mater in September 2017 where she served as a clerk in the Admissions and Alumni Relations Offices for over 20 years. After retiring, Gwen continued as a volunteer at Sacred Hearts until a week before her death. Besides being a Mom, Grandma and Nana, nothing meant more to her than being part of the Lancers 'Ohana. Gwen was preceded in death by husband, Waldemar Kuuipo Aiwohi, and mother and father, Violet Hoon Lum Marino and Herman Kala Marino. She is survived by son, Herman Kala Aiwohi (Darcell); daughter, Violet Sweetie Nelson (Rob); five grandchildren, Lindsey Ala (Houston), Brittney Yim (Spencer), Colbey Lobendahn (Justin), Jordan Nelson and Braeden Nelson; and seven great grandchildren, Isaiah & Asher Ala, Charlie & Nona Vi Yim, Nation & Pride Lobendahn and Mason Rutkowski-Nelson. The Aiwohi Family would like to thank Gwen's "extended 'ohana" for their kind words and gracious expressions of love, she treasured your friendship dearly; and the doctors and nurses at The Queen 's Medical Center and Hospice Hawaii who cared for her unconditionally. Please join us as we remember and celebrate Gwen, Sunday, February 25th at St. Margaret Mary Chapel on the campus of Sacred Hearts Academy, 3253 Waialae Avenue. Viewing and visitation, 9:30-11:30 am; Mass to follow. (Parking available at St. Patrick's School.) Private burial at Punchbowl Memorial Cemetery at a later date. Please feel free to bring a favorite photo or memory of Gwen to share at her service .